Your history and future prospects can be negatively influenced by a shoplifting or larceny indictment. Even a shoplifting crime as a minor will have a immediate impact on upcoming career possibilities. Could you contemplate being well past your twenties, and still detailing your shoplifting activities that took place when you were 17 or 18? If you’ve been accused of the crimes of robbery or shoplifting, talk with a attorney about the options that may help save your future. 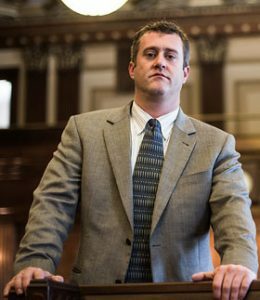 Jason Wilson protects clients with either felony or misdemeanor property crime charges involving embezzlement, larceny, and shoplifting. Jason has vast exposure with assisting students and other young people in cases involving property crimes. He knows that adolescents lack the needed judgement to understand the repercussions and life-long impact an arrest can cause. Jason also represents adults in property crimes matters, as well. Jason Wilson does understand the damage a scarred legal background can cause. In many situations, there are alternatives to legal prosecution, especially for individuals who have a clean record. In certain cases, eve if you have been convicted and have a criminal record for shoplifting/concealment, Jason may be able to reopen your case with a Motion for Appropriate Relief, and get your charge dismissed or expunged. He will work to get the best possible outcome so that you can proceed without negative impact to your reputation, and without the need to constantly explain your actions. Call Jason for a no-risk, free consultation.